Had three days, two nights organised to walk down Freycinet Peninsula. I've previously been there in the middle of summer and walked back across the heights on a 35° day, so a slightly earlier trip aimed for cooler weather. In the event, the first two days were mainly cool, cloudy and sometimes drizzly, but the third day was sunny and warm without being too hot. It's a "while" since I carried an overnight pack, so there were some muscle-training issues to deal with too. I did what is called the "anti-clockwise circuit of the peninsula". You leave from the Wineglass Bay carpark, and climb to the saddle before heading down to Wineglass Bay. 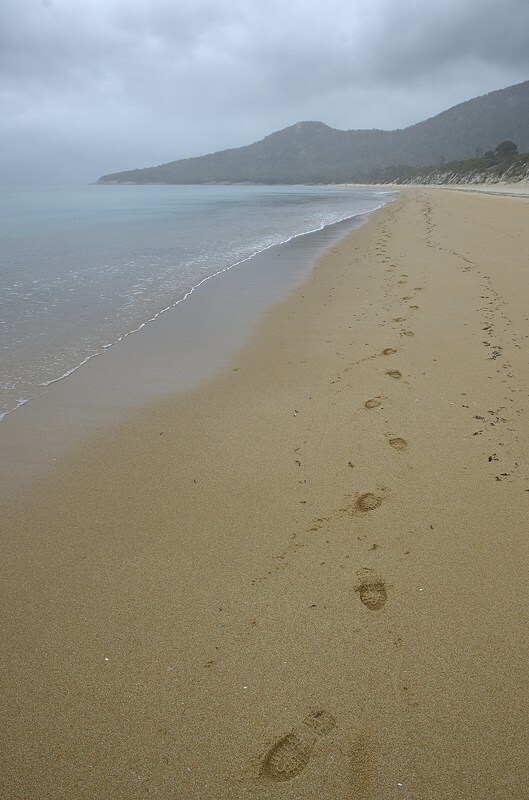 From there, the Isthmus Track heads west through pleasant forest to Hazards Beach on the other side of the peninsula. This track passes close to the northern end of Hazards Lagoon. This is often dry, but at the moment is full of water and life. The track emerges on Hazards Beach, a quite sheltered beach, down which you walk to Lagunta Creek (often dry, but flowing gently at the moment), and some rocks with an interesting geological history. From there the track heads a little inland and undulates southwards to Cooks Beach, then follows the beach south to Cooks Corner where there is a campground and water tanks fed from the roof of the old farmhouse. These water tanks are basically what makes Freycinet walking relatively easy once the weather dries up, as otherwise everyone would have to carry all or most of their water. Please use the water sparingly, as the tanks can become low later in the season if rain is scarce. 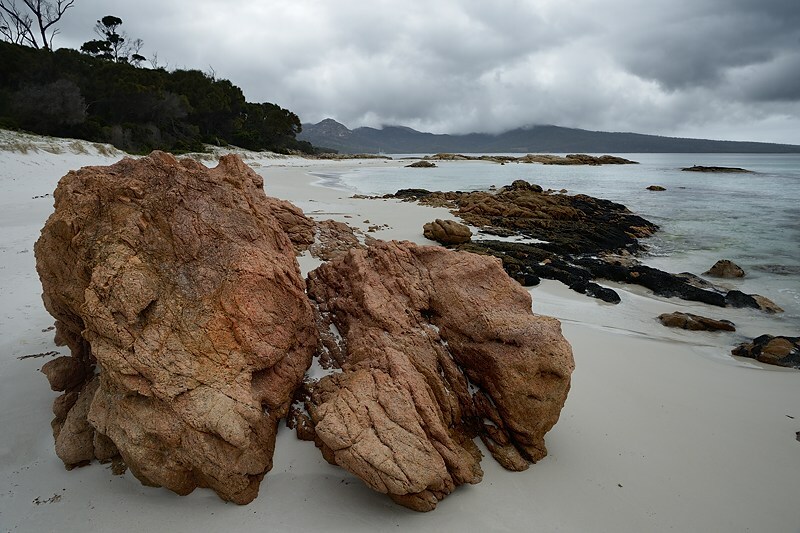 From Cooks Beach, you can walk further south to Bryans Beach and beyond, and this is a good half-day or day walk. There is no reliable water south of Cooks Beach, so it must be carried. Bryans Beach is a lovely, moderately sheltered beach and well worth a visit. 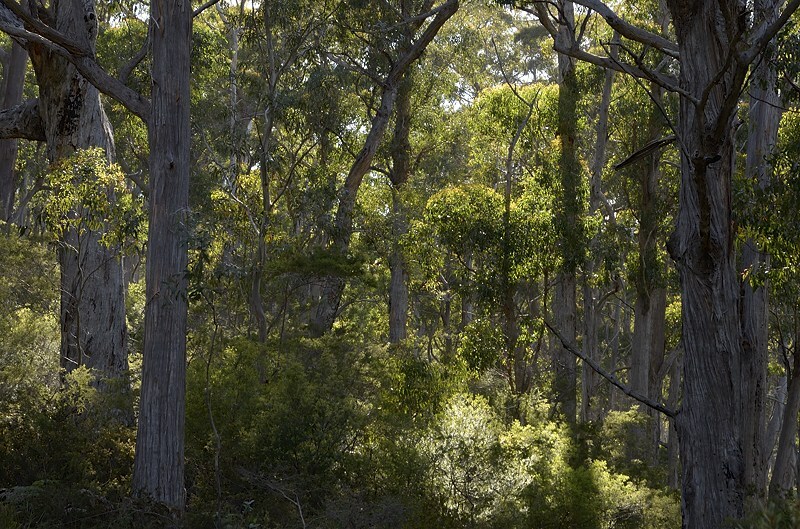 It is only about 40 minutes walk through the forest from Cooks Beach to emerge at the northern end of Bryans Beach. 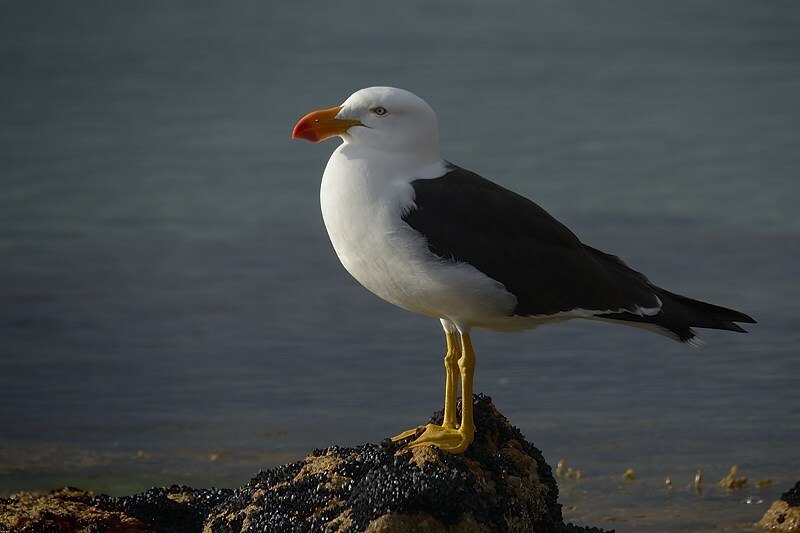 Pacific Gull, Larus pacificus, Freycinet Peninsula - 27th November 2012. 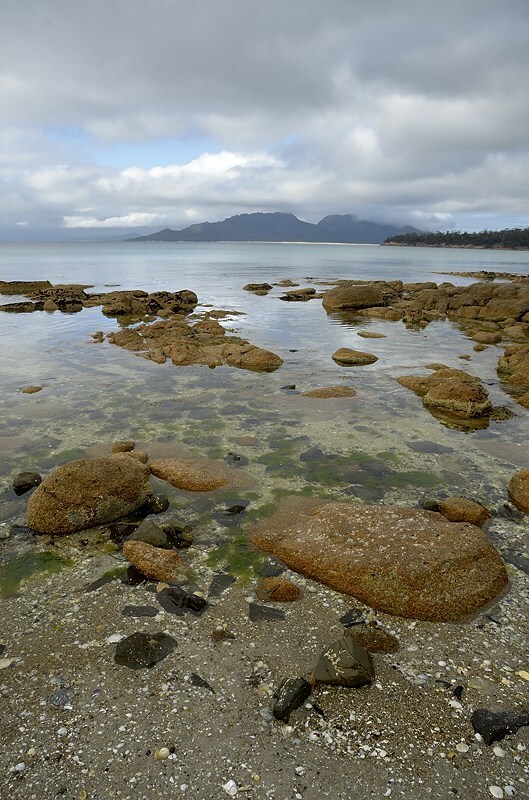 On a following day, the return leg of the walk heads back along Cooks Beach to its northern end, then turns sharp right and heads up onto the southern flanks of Mount Freycinet. This is a good solid climb through attractive forest. It emerges at the saddle between Mount Freycinet and Mount Graham at around 400m in height. From there you can turn left and climb 620m Mount Freycinet, as a steep and rough sidetrip, leaving your pack at the intersection. Having been there a couple of times before, I didn't climb it this time. 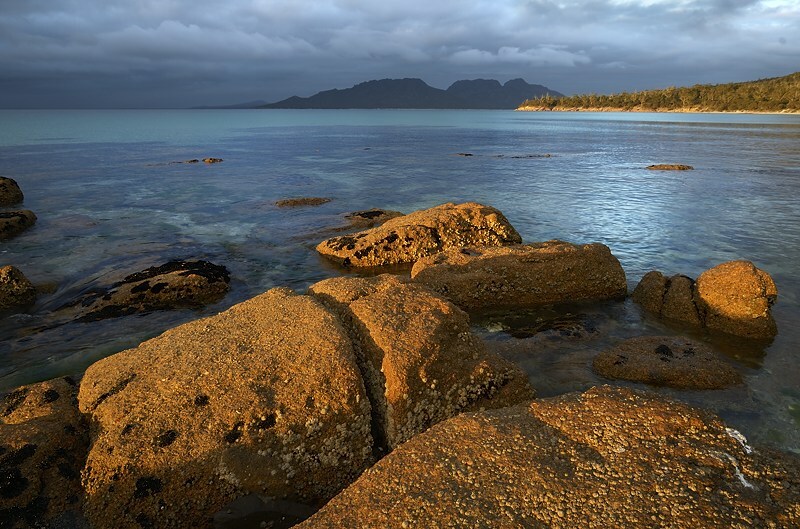 Mount Freycinet has superb views as it is the highest point on the peninsula. Various creeks were flowing either moderately or as a trickle last week, although without further good rains, these should not be counted on, and you need to carry sufficient water. In hot weather, this return trip can be quite demanding. The main track continues steeply onto 579m Mount Graham, and passes about 100m from its summit. 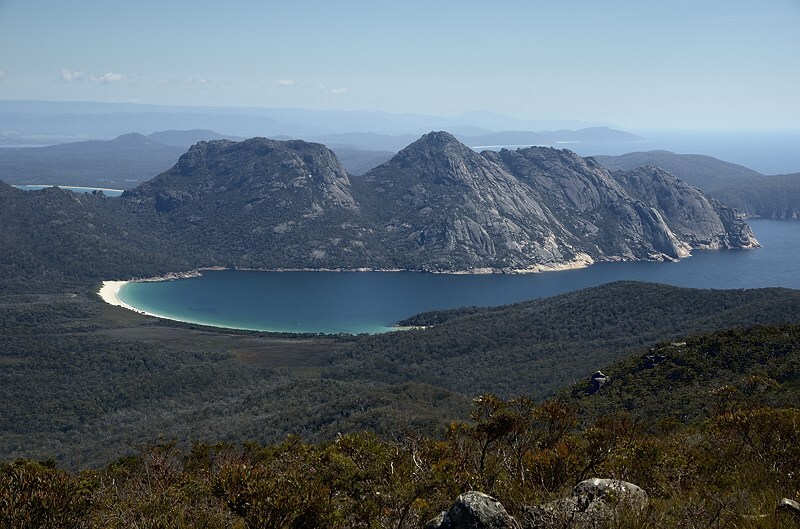 You can leave your pack and use obvious tracks to find the summit rocks, which provide great views of Wineglass Bay and The Hazards. With the route to Wineglass Bay being downhill, you would be forgiven for thinking the hard work was over, but I find that much of the track across the top of the hills and down to Wineglass Bay is quite taxing. There are some steep rocky sections, and much of the track is quite rough and as a result takes longer than I expect it to! 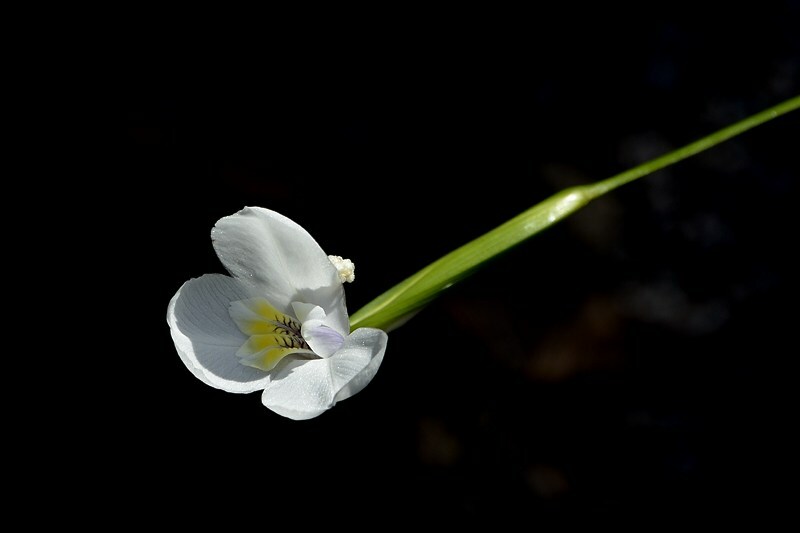 There is one section in the forest where the track arrives suddenly on a moderate cliff, and sidles along a ledge. If taking children across here, make sure they are competent to avoid falling off things. 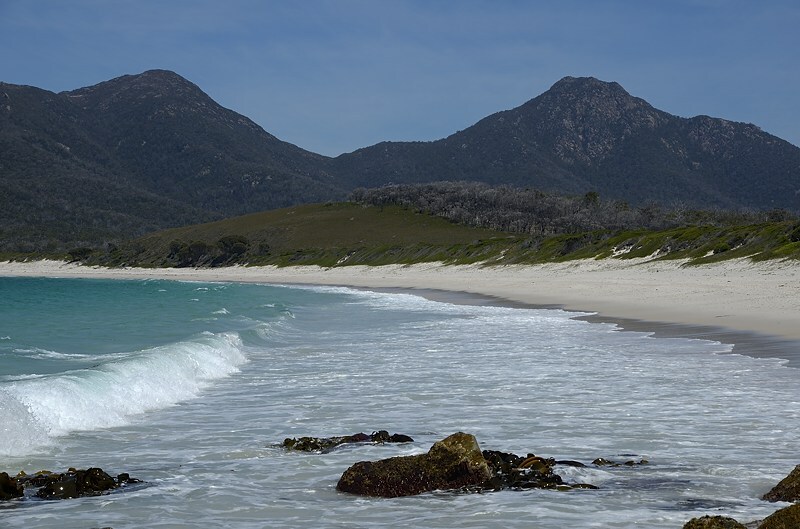 However, it is a quite pleasant walk, initially across quite open heathland and then in the forest, and eventually emerges at Wineglass Bay where a break and maybe a swim will be welcome on warm days. There is rarely flowing water in the creek at that point. The standing water doesn't inspire confidence. 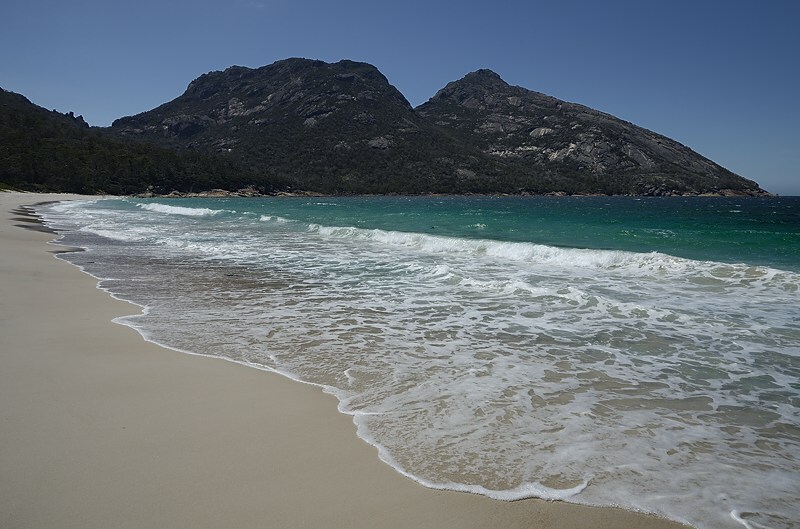 The final leg is along Wineglass Bay beach, with the stunning views of the southern side of The Hazards falling steeply into the water, then back up and over the saddle to the carpark. 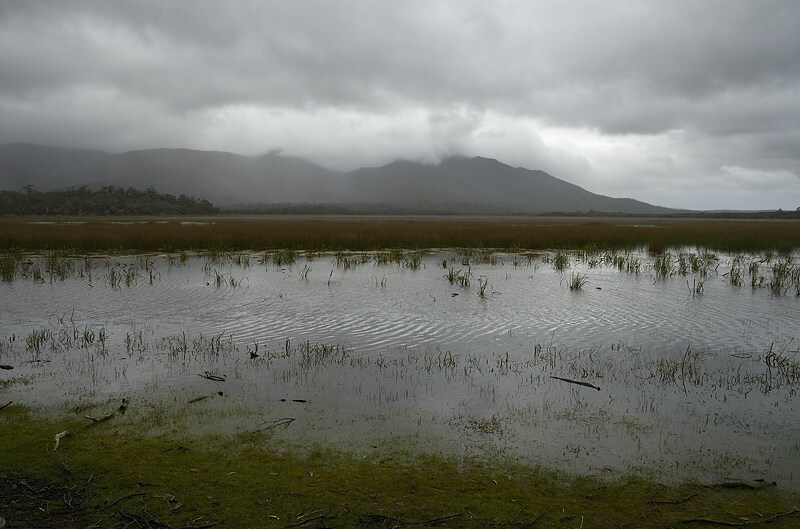 Overall, this walk requires moderate fitness (to carry your pack over the mountains) but does not require all the warm and waterproof gear you might need for other Tasmanian walks. It can be done in two days, with one night spent at Cooks Beach, although I took three days with a leisurely day of wandering about taking photographs in between. The scenery is great, there's plenty of wildlife, and there's plenty of camping space. I recommend asking the rangers about the availability of water before undertaking this walk. They may even be able to tell you that certain creeks are flowing, saving the lugging of water up part of the hill, although they understandably avoid guessing.